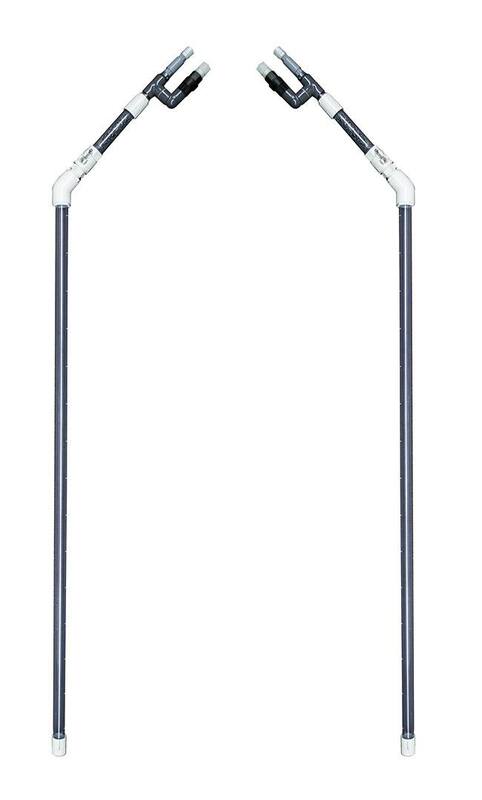 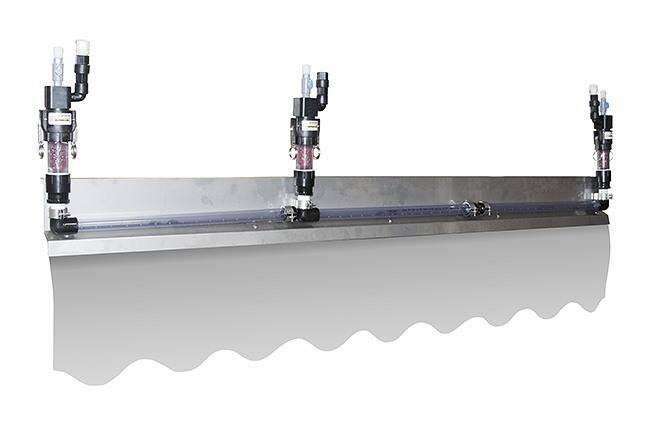 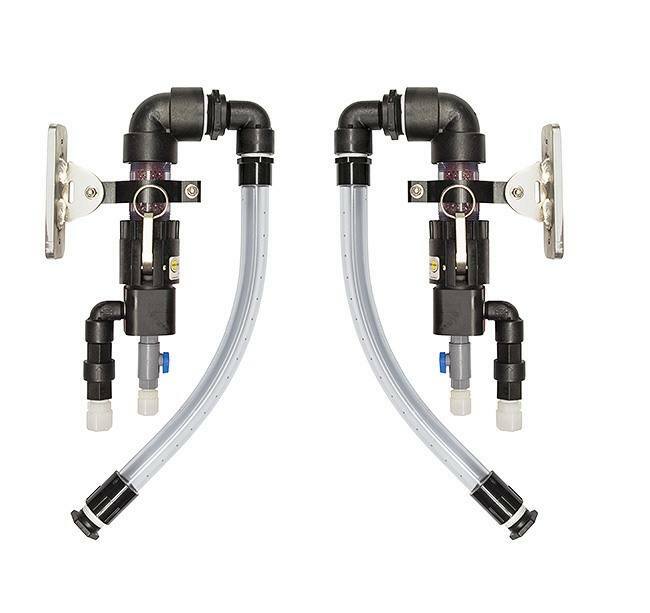 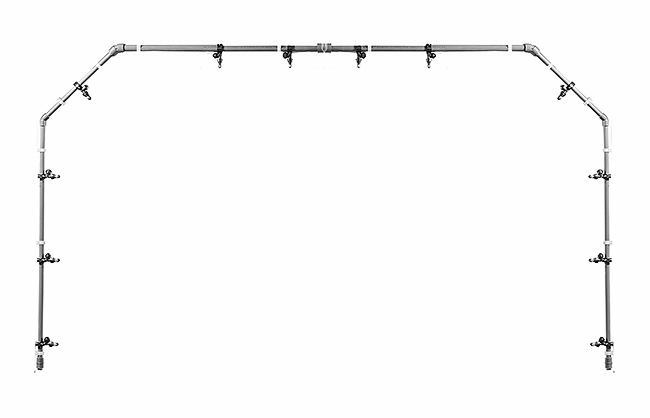 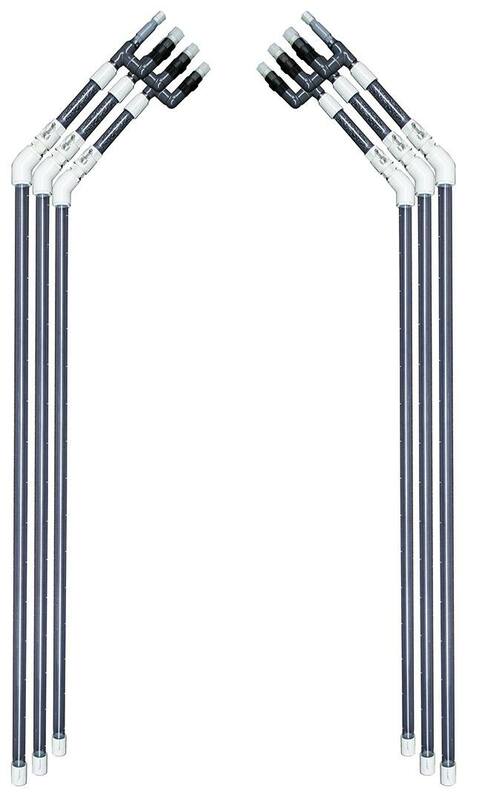 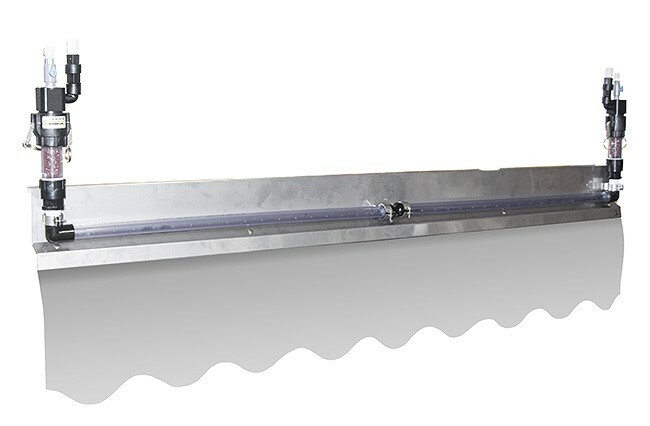 (OPTIONAL ECONO LINE FLEX LED STRIP) Choose if you want two 81" LED flex lite strips mounted to the inside curve on both sides of the arch. This enhances the arch by lighting up the inside curve as the cars drive under it. 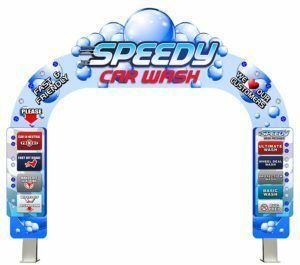 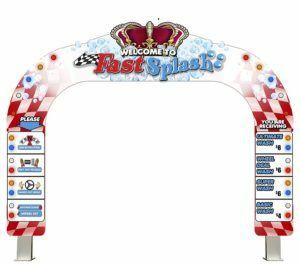 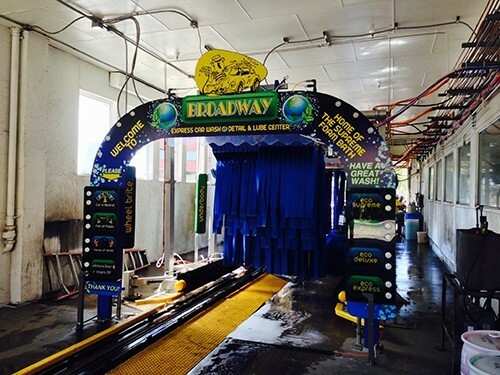 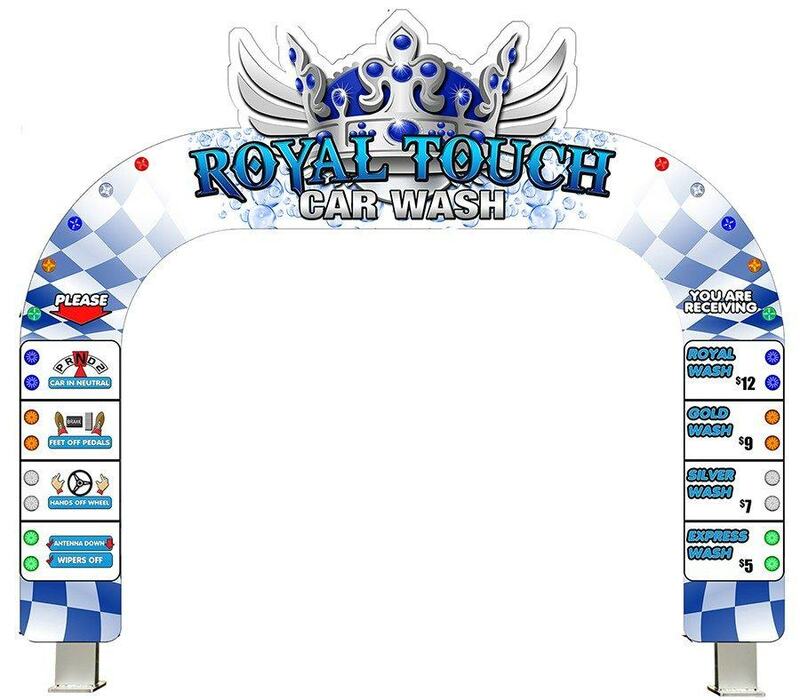 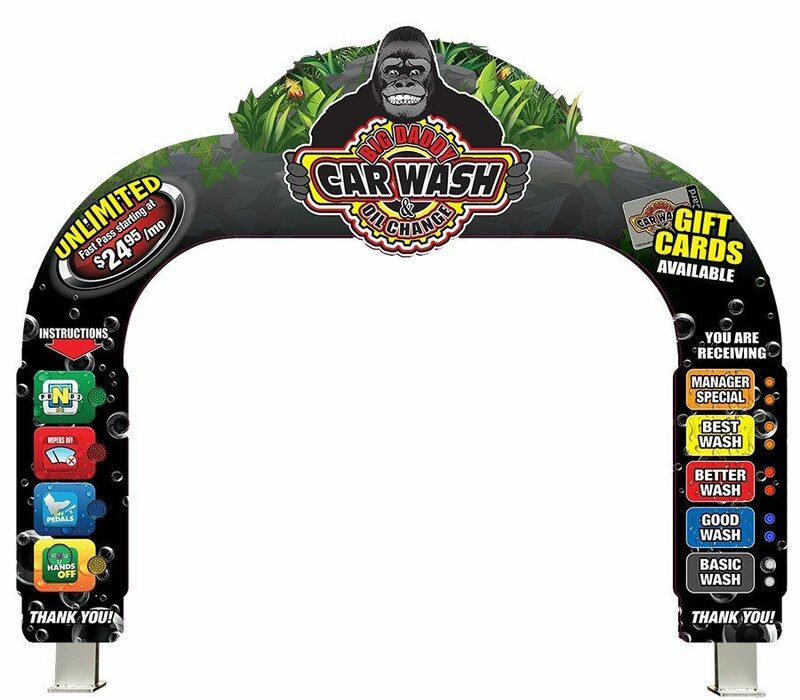 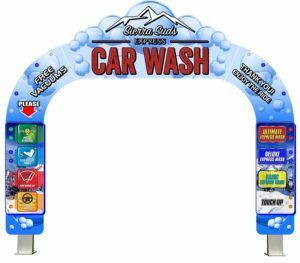 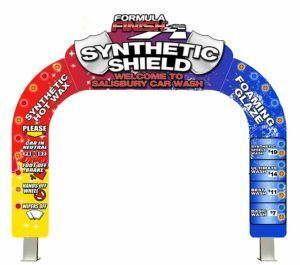 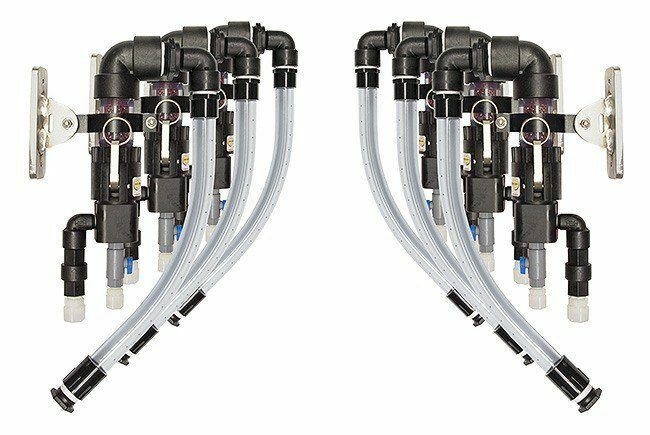 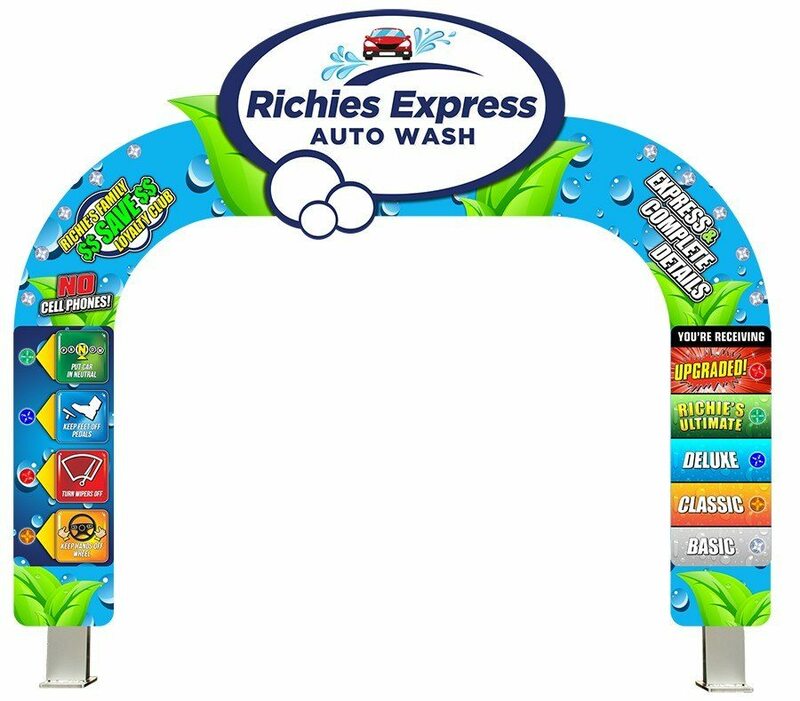 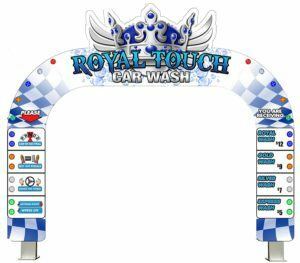 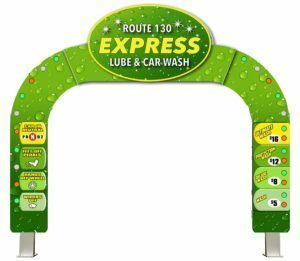 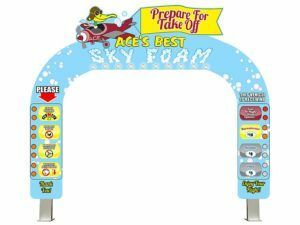 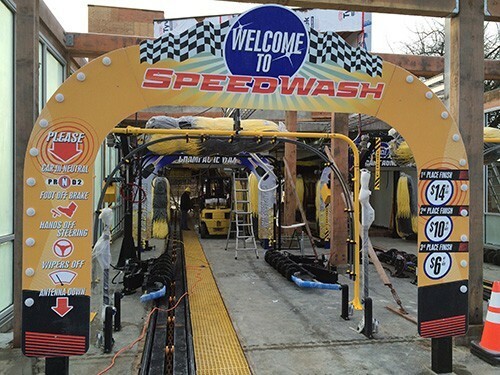 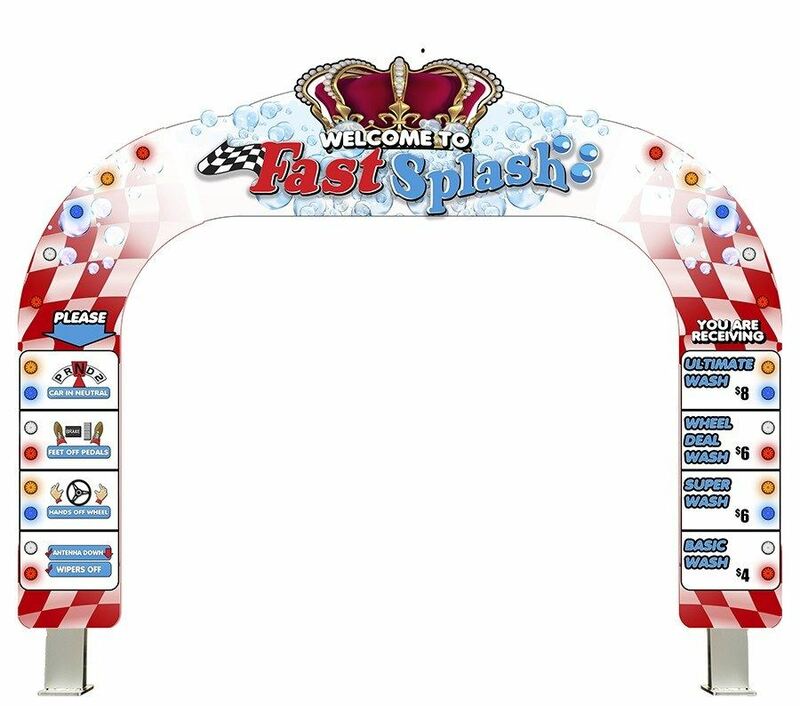 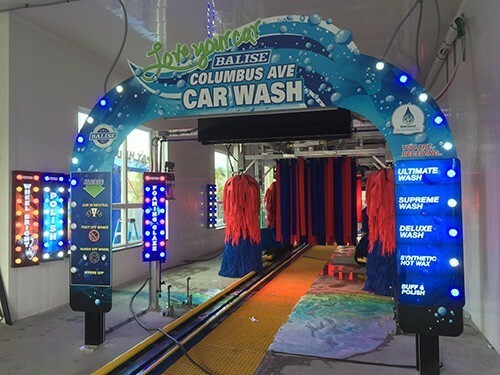 Unique and powerful multi purposed arch is a great way to welcome your customers to your wash. 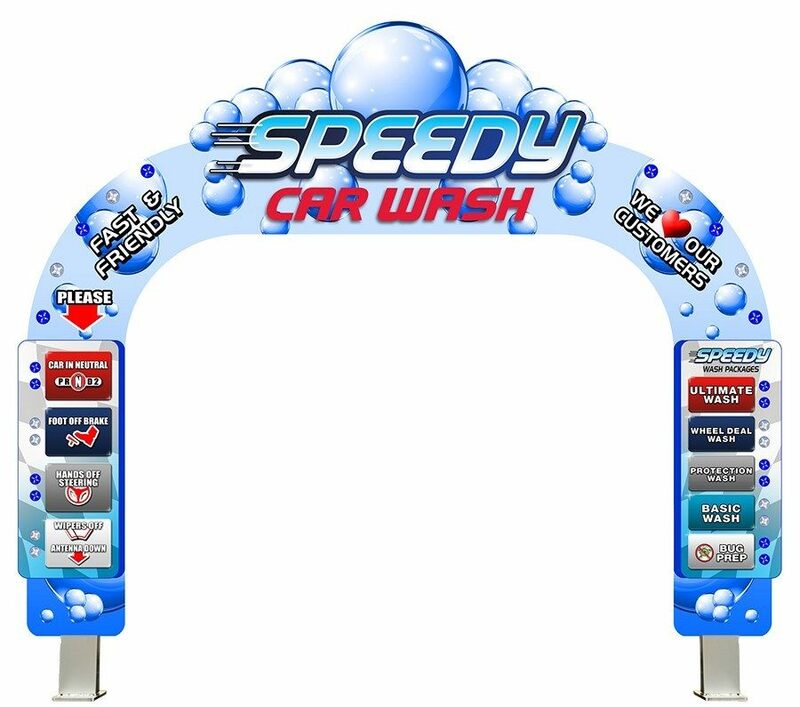 It does the job of three signs with an entrance arch, instructional sign and confirmation. 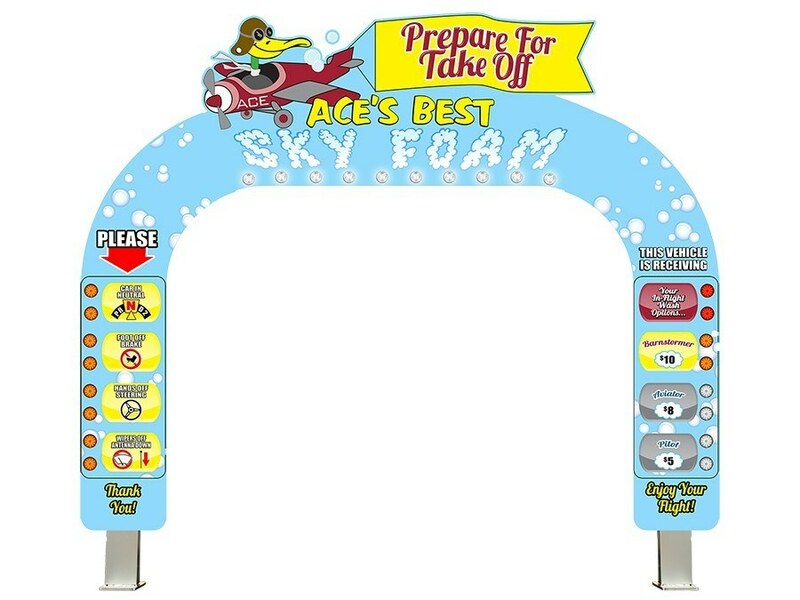 When powered on the LED pucks on the arch will light up along with the instructional sign. 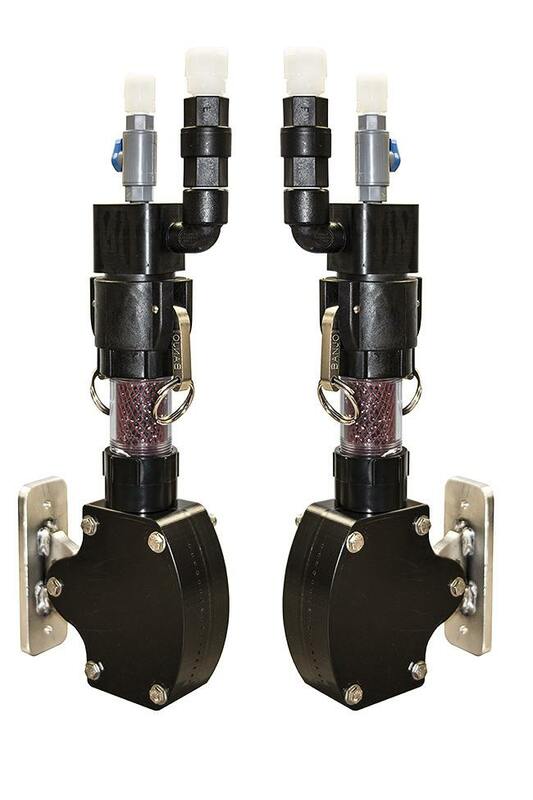 The pucks on the instructional side will alternate down from top to bottom. 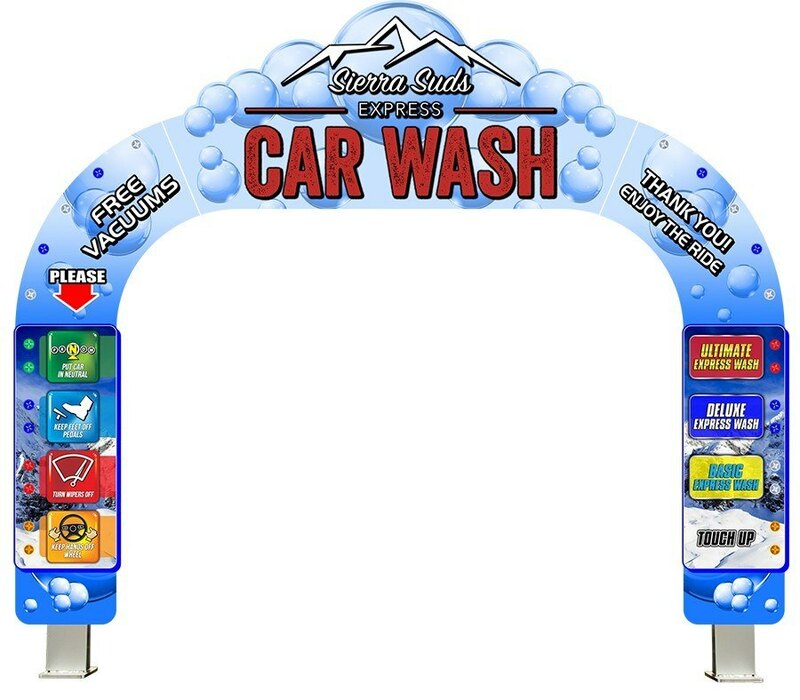 The confirmation will light up with the wash your customer has purchased. 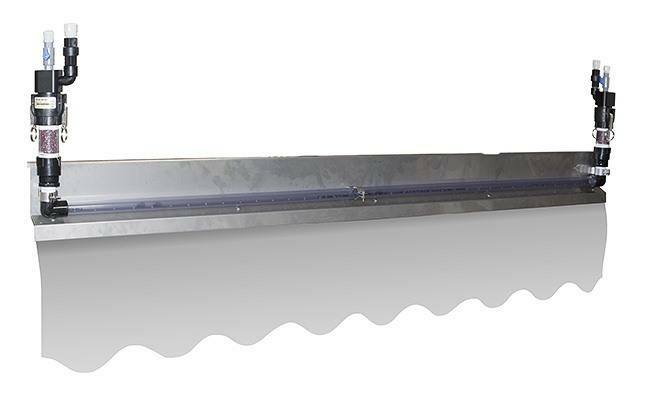 Ships in three easy to assemble pieces. 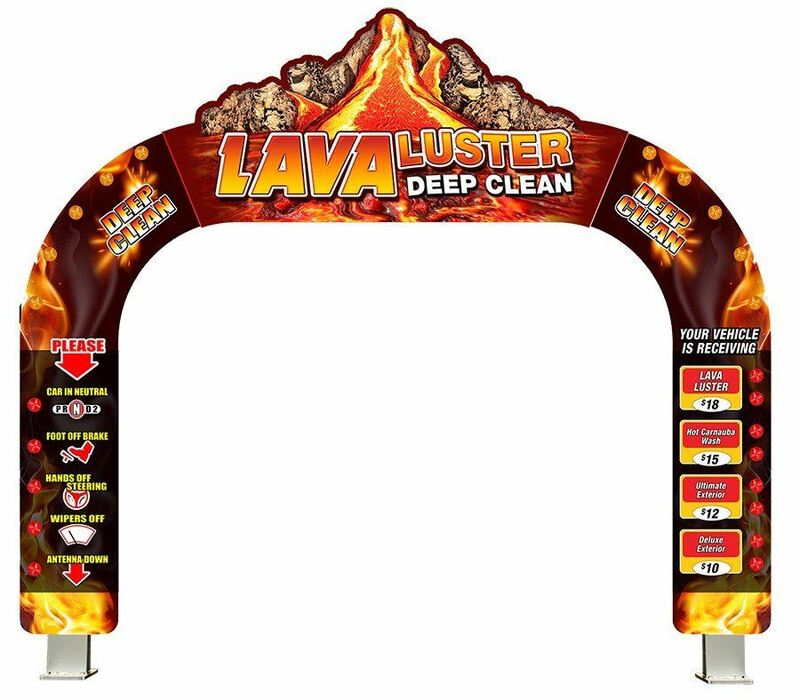 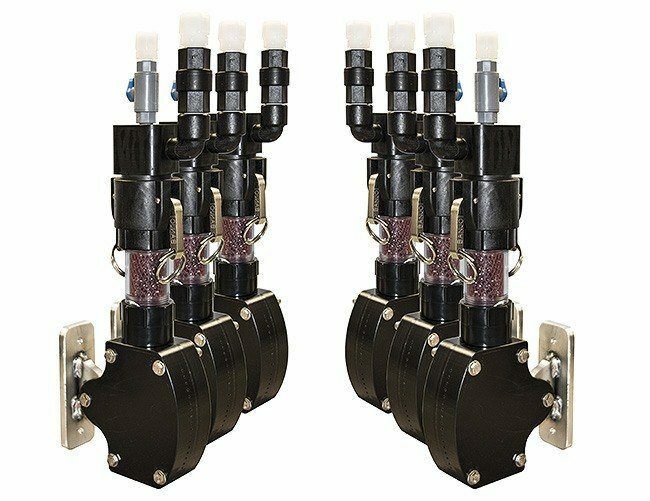 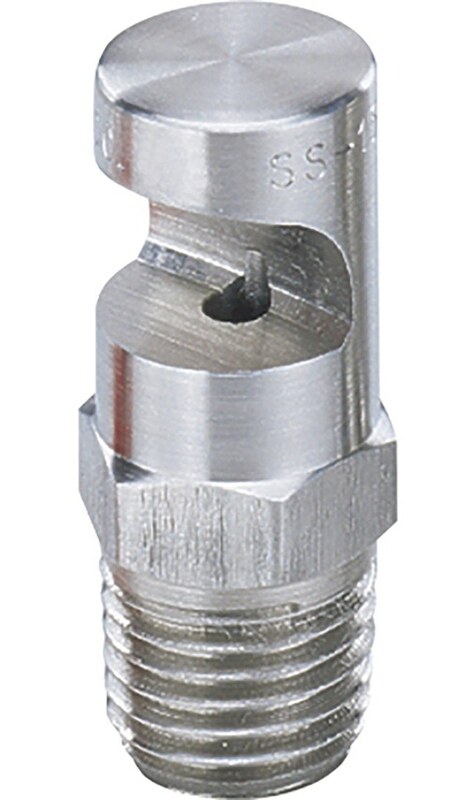 Although the print has a durable laminate, do not power wash or allow to be sprayed with harsh chemicals. 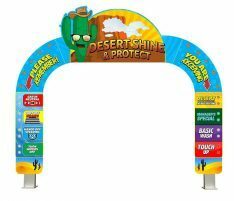 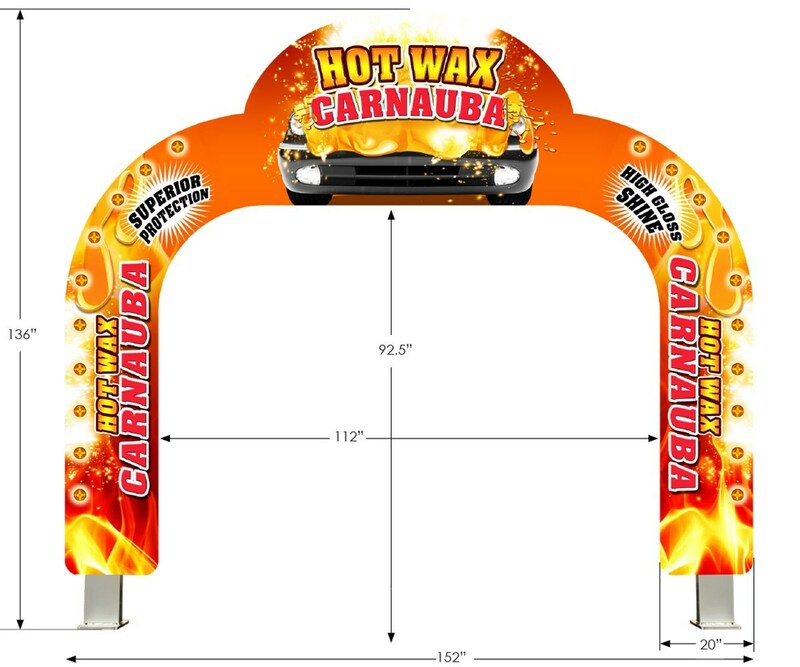 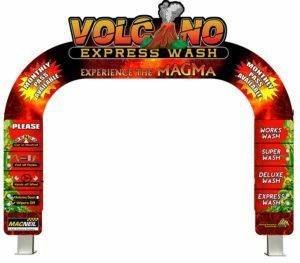 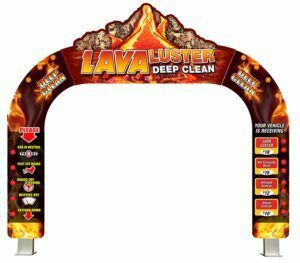 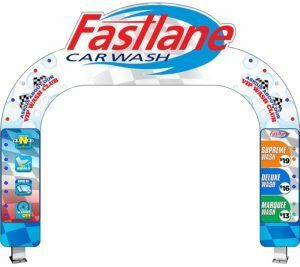 Eclipse Arch: Baked enamel aluminum structure with aluminum composite graphic panels Illuminated side fixtures: 20″W x 48″H x 4.5″D baked enamel aluminum body with a high impact plastic face.